Welcome to Hispanic Health Initiatives, Inc.
HHI has been utilizing bilingual/bicultural Community Health Workers (CHWs), teach medically and socially under-served individuals and their families, how to navigate the social and health systems. 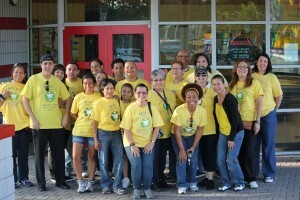 In addition, for more than 14 years, HHI’s services are at the forefront of chronic disease awareness, education and prevention within the Central Florida community. 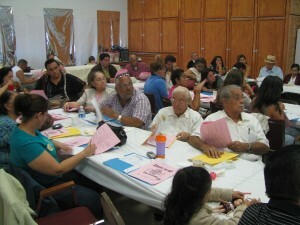 HHI has developed several successful programs educating the community on healthy nutrition and simple to follow exercise techniques as an additional means to prevent and control certain chronic diseases often leading to self-management. This is a great opportunity to give back to your community. 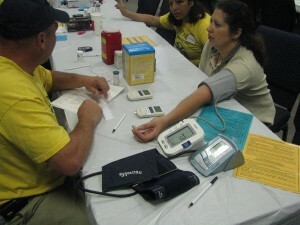 The backbone of Hispanic Health Initiatives’ service to the community is the volunteers recruited to help provide those services. Another means of supporting our community is to make a Tax Deductible Donation.